Occupation: I am an Independent Insurance Agent, specializing in Medicare Plans, Life Insurance and Indexed Annuities. Own my own business, called Response Line Insurance. How do you spend your free time? I love to be outdoors doing anything and everything. Walking, Biking, Hiking, Golfing, Boating. Just an outdoor gal. Best moment at Innovative Dental: When I looked in the mirror the day I got my veneers and saw my beautiful “new” smile! How has your new smile impacted your life? I feel more confident and pretty. It was the best decision I have made. Sitting across from Vicki Glasco, her professional persona is balanced with a noticeable warmth. It’s only days before her “busy season” as an Independent Insurance agent, a career that has lead to owning her own business. Sitting with one leg effortlessly crossed over the other, her blonde bob swinging as she laughs. Self-confidence radiates through her smile, her eyes, and her posture. 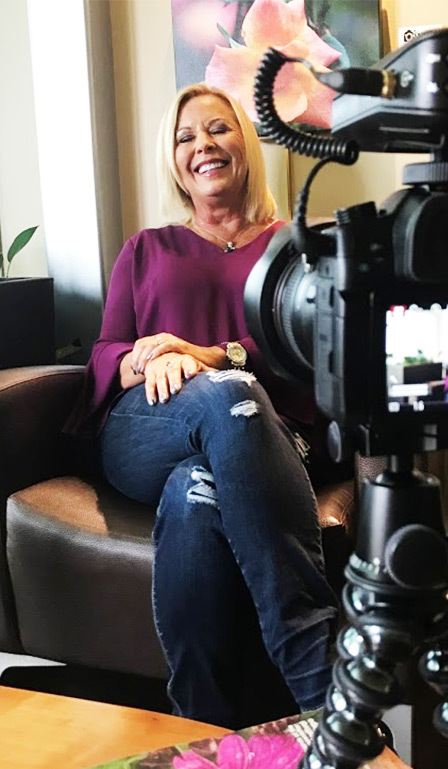 When Vicki arrived for her first appointment at Innovative Dental four years ago, she did not have high expectations, and had never considered cosmetic dentistry. She had been to many dentists over the years, and she knew the routine. Her perspective on her dental health goals shifted, too, after her first appointment. It was the first time that the idea of straightening her crowded lower teeth and brightening her smile felt like a real possibility. “I’m really going to walk in there with my old smile, and walk out with a new smile that day. 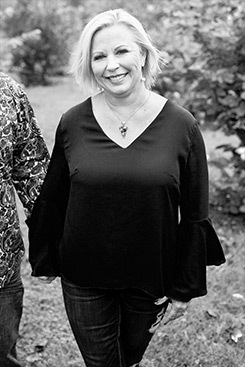 Vicki completed her Invisalign journey in less than a year. 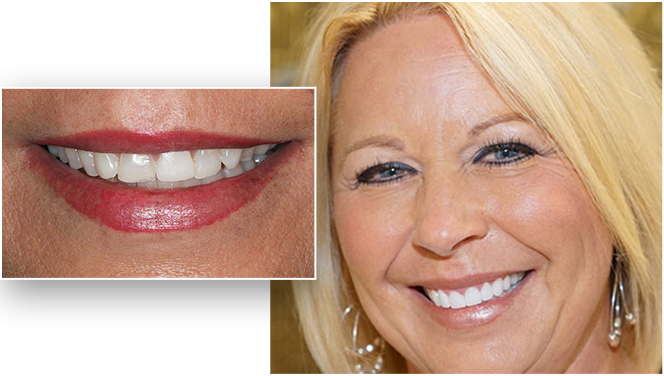 Only a few months later, Vicki returned for the visit she had most anticipated: eight cosmetic veneers. Even though it seemed almost “too-good-to-be-true”, Vicki didn’t want to settle for “good enough” with her smile anymore. She was ready to invest back in herself. 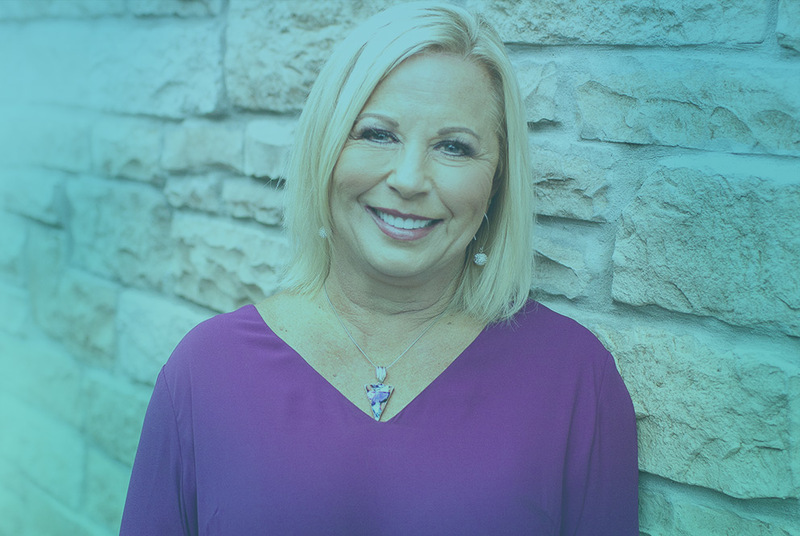 CEREC technology gave Dr. Olson the ability to create and place her eight permanent porcelain veneers within a matter of hours. Vicki recalled the day of her cosmetic treatment as a beautiful, sunny day: the perfect day for a bright new smile. Two years later, Vicki still has no regrets about her smile transformation.